This year, I’ve decided to spend my winter break brushing up my German. I took German all through college, but because I had few opportunities to practice it in the USA, my language skills started becoming rusty. So, I did some research on the Internet and found a few language schools that weren’t closed for the holidays. 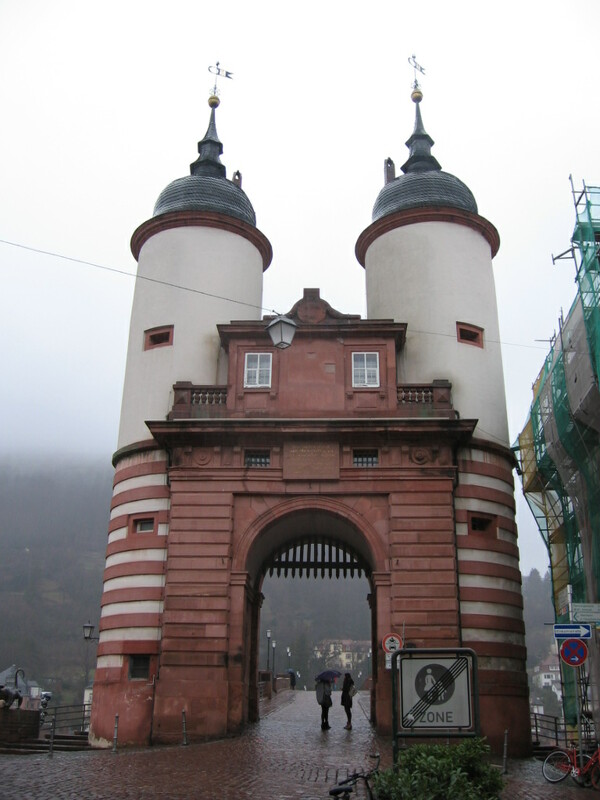 After some consideration, I chose a school in Heidelberg. When I arrived in town, I tested into C. However, there were no general language classes for this level, so I joined a DSH (German university admittance exam) preparation course. My overall impression of the course is very positive. It must be said, however, that the school I studied in was fairly traditional in its approach (writing and grammar exercises, etc. ), so beware if you are used to the communicative method, which is more popular in the USA. Also, since most students were younger people, who had just graduated from secondary school, the teachers were direct with them in a way that could be considered offensive elsewhere. For example, a teacher could tell the student they had done poorly on an assignment in front of the class. Finally, language classes seemed to be a more long-term commitment for most students than they were for me, with most students coming for at least a few months. As a result, the instruction was very thorough, but perhaps not very dynamic. Our group had students who had joined at different points for a different amount of time. I would say you have to set some time aside to be able to get a solid grasp on the language through language courses, but for the purposes of brushing up on the language and immersing myself in the environment, the three weeks of my vacation worked just fine.